Chametz literally means fermented and is a general term for Leavened foods made from wheat, barley, rye, oats or spelt. All of the above are Chametz and are prohibited on Pesach. Examples are: bread, cake, cereal, spaghetti, beer and whisky. Even the minutest trace of leavened ingredients or their derivatives will render a particular food to be Chametz. The only exception is Matzah which though it is baked from wheat, care and precaution are taken to ensure that the flour and dough never reach the stage of fermenting.  All fresh fruits and vegetables as well as kosher meats and fish are Kosher for Passover provided they have not come into any contact with any Chametz. The Ashkenazic community has widely accepted the custom not to eat foods made of rice, millet, corn, mustard, legumes (beans etc.). One is not permitted to eat Chametz or even keep Chametz in his possession on Pesach. Chametz, which has belonged to a Jew over Pesach, is prohibited forever. Hence we sell any Chametz we have, to a non -Jew before Pesach and buy it back after Pesach. It is common practice to authorize your Rabbi to act on your behalf to enter into a formal contract with a non-Jew, whereby the latter acquires all the Chametz in the possession of the persons for whom the Rabbi is acting. Chametz that is being sold should be placed in a designated room/closet and closed off for the duration of the holiday. Chametz can be eaten Friday, April 19 until 10:15 am. and must disposed of or sold by 11:20 am. to sell all of you Chametz items to a non-Jew from April 19, 10:15 am. I the undersigned, fully empower and permit Rabbi Yosef Kantor to act in my place and stead, and on my behalf to sell all chametz possessed by me, knowingly or unknowingly as defined by the Torah and Rabbinic Law (e.g. chametz, possible chametz, and all kind of chametz mixtures). Rabbi Yosef Kantor is also empowered to lease all places wherein the chametz owned by me may be found, particularly at the address/es listed below, and elsewhere. Rabbi Yosef Kantor has full right to appoint any agent or substitute in his stead and said substitute shall have full right to sell and lease as provided herein. Rabbi Yosef Kantor also has the full power and right to act as he deems fit and proper in accordance with all the details of the Bill of Sale used in the transaction to sell all my chametz, chametz mixtures, etc., as provided herein. This power is in conformity with all Torah, Rabbinic and Civil laws. Passover ends on Motzei Shabbat, April 27 at 7:06 p.m. Allow 30 minutes after Pesach before using your chametz to allow the Rabbi to negotiate the purchase of the chametz from the non Jew.